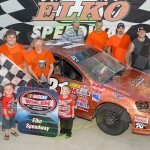 Lakeville’s Dan Fredrickson took advantage of a 36th lap restart, “muscling” his way under Matt Goede as the tandem dove into turn one, taking the lead enroute to winning the NASCAR Whelen All American Series Super Late Model feature to highlight the EVE of DESTRUCTION RAW Saturday August 4, 2012 at Elko Speedway. 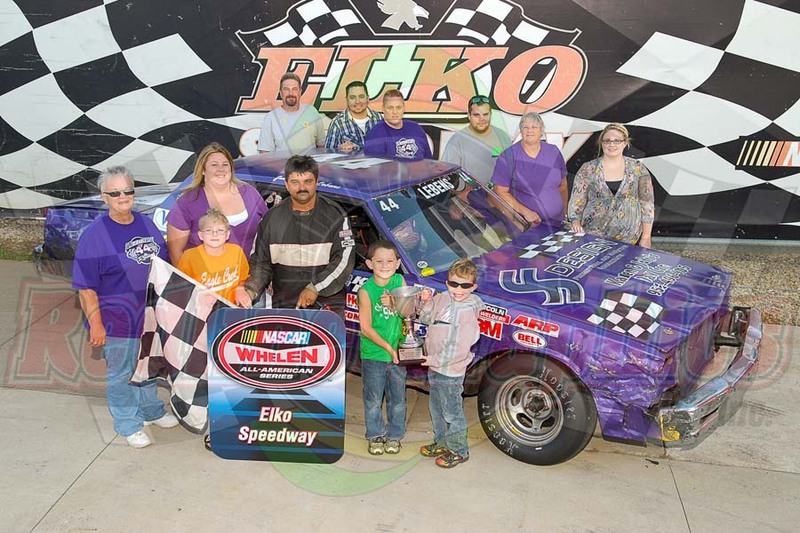 Fredrickson began the 40 lap headliner at the end of the 22 car grid and when the green flew it was Chad Walen and Jason Schneider battling for the early lead with Walen taking the point on the 2nd lap, with Matt Goede working around Schneider for second on lap three. With Walen leading Goede and Schneider, another battle was heating up between Nick Barstad and Adam Royle for fourth, before Royle lost the handle entering turn four to bring out the first caution on lap five. 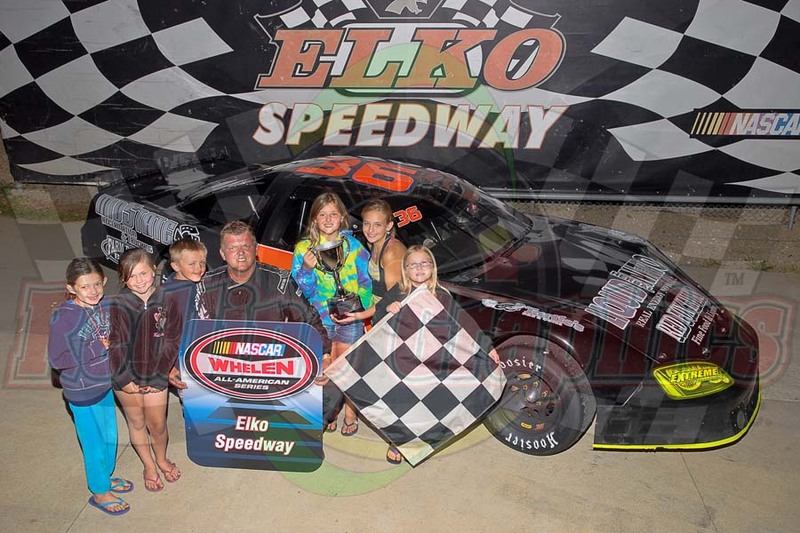 On the restart, Walen and Goede quickly paired off in a battle for the lead which Walen reclaimed on lap six as Schneider and Barstad battled for third behind the lead tandem. The field was slowed for a second time on lap 10 when Paul Paine spun in turn three to force a second restart and again Goede pressured Walen, but couldn’t make the pass and as the field reached the midpoint it was Walen, Goede, Schneider, Barstad and Donny Reuvers in the top five with Fredrickson marching to sixth. Goede’s persistence finally paid dividends on lap 22 as he charged under Walen to take the lead with Barstad following suit moving to second, with Fredrickson powering by Reuvers and then Schneider, moving to fourth with 10 laps to go. 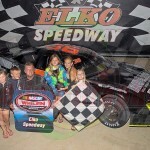 As Goede and Barstad tried to keep a bit of separation, the race’s complextion changed in four laps as Barstad’s motor blew on lap 33 ending his night, before a spinning Bryan Syer-Keske spun on lap 35 to force a final restart. Fredrickson made the most of his opportunity as he rolled under Goede in turn one on the restart and forced the leader high taking away his momentum, with Fredrickson charging off turn two taking the lead enroute to a “worst to first” victory with Goede, Walen, Schneider and Reuvers earning top fives. 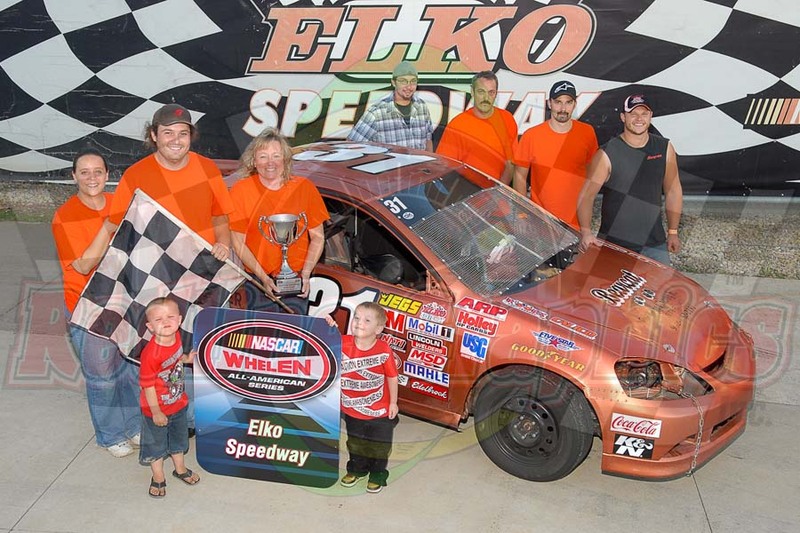 In the Big 8’s, Lawrence Berthiaume made an early break from Michael Beamish to take the lead, with Chris Marek dropping Beamish to third on lap five before the trio of Doug Brown, Jon Lemke and Jake Ryan came calling to join the top five. With Berthiaume continiuing to lead, Marek made a steady but determined charge to take the lead on lap nine and Brown and Lemke then pressured Berthiaume for runnerup honors. As Marek now controlled the action, Lemke was able to bypass Brown for third on lap 16 before the action was slowed on lap 19 as Mitch Weiss and Jonny Hentges collected each other in turn two to force a restart. 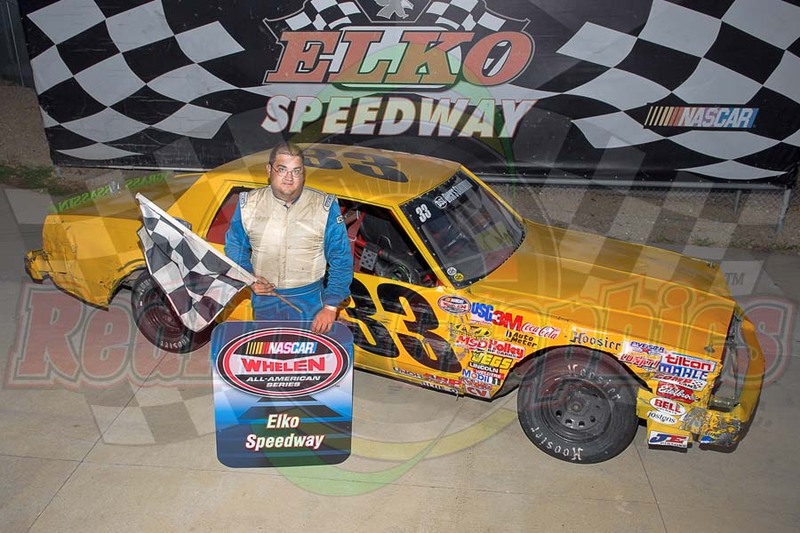 When the green flew resuming the action, Lemke made a run but Marek was able to fend off the challenge rolling to the win, with Lemke, Ryan, Berthiaum and Brown in the top five. 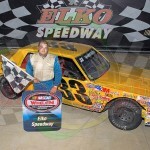 The Power Stocks were also in action and Taylor Goldman rolled to the early lead with Josiah King, John Lebens, Paul Hamilton and Tom Doten in pursuit. As Goldman paced the early action, King reeled her in on lap four to take the lead with Lebens moving to second as the field raced to the midpoint of the 20 lapper. As the action remained “clean and green”, it appeared that King might not be caught, but as Tom Doten and Paul Hamilton dropped Goldman to fifth, Lebens closed to King’s rear bumper as the white flew and as the leaders raced into turn three, Lebens gave King “the ‘ol chrome horn” and ducked underneath for the lead and the win, with King, Doten, Hamilton and Goldman in the top five. 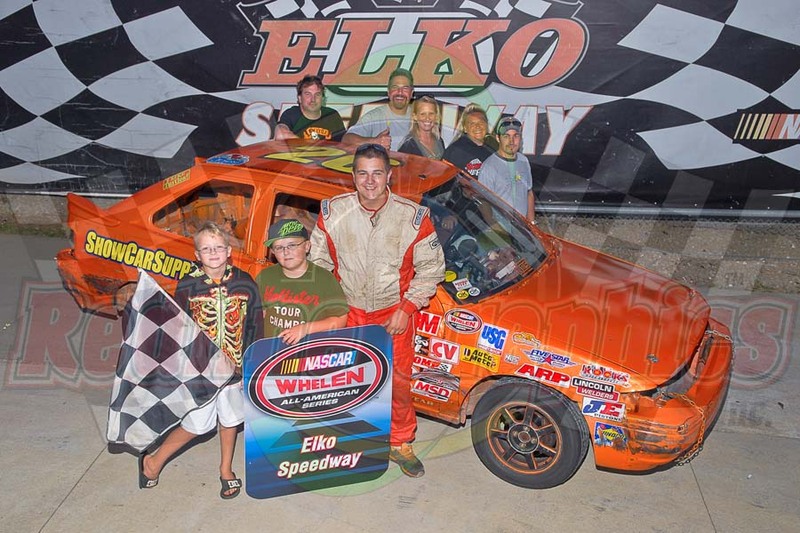 Topping off the racing action were the Mini Stocks and as the green flew to start the 15 lapper it was John VandenHeuvel charging by pole sitter Matt Busson for the lead, with Aaron Hopkins, Blake Dorweiler, Justin Schelitzche and Jack Purcell on the early move. As VandenHeuvel continued to set a blazing pace, Hopkins and Dorweiler raced hard for second, but with the action going caution free, no one had anything for the leader as VandenHeuvel rolled to the win, with Hopkins, Dorweiler, Purcell and Schelitzche rounding out the top five. The action packed program also featured a pair of thrilling performances Verticle Mischief Sport Bikes, Monster Truck action with Barbarian and School Bus Races. In addition, the loud and enthusiastic crowd saw a Flag Pole Race in which both 4 cylinder cars and V-8’s competed and Jack Purcell topped the 4 cylinder version, with Dan Bohnsack the king of the V-8’s. Spectator Drags once again featured a large and varying selection of competitors and equipment and Justin Otterholt drove his 1979 Pontiac Firebird to the win. Another crowd pleaser was the Outhouse Race where the most fun might’ve been watching Tom Doten try to “quickly” get in and out of his car in his three rounds of action! 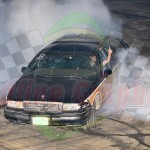 Topping off the adrenaline fueled fun was the annual BURN OUT Contest and three competitors stood out from the balance of the field. Jack Purcell delighted the fans by disappearing from sight in smoke in his ’92 Nissan Sentra and then Northfield’s Carl Randolph “upped the ante” with a lengthy, smoke filled effort in his ’65 Buick Skylark, blowing two tires during his effort to the delight of the crowd. 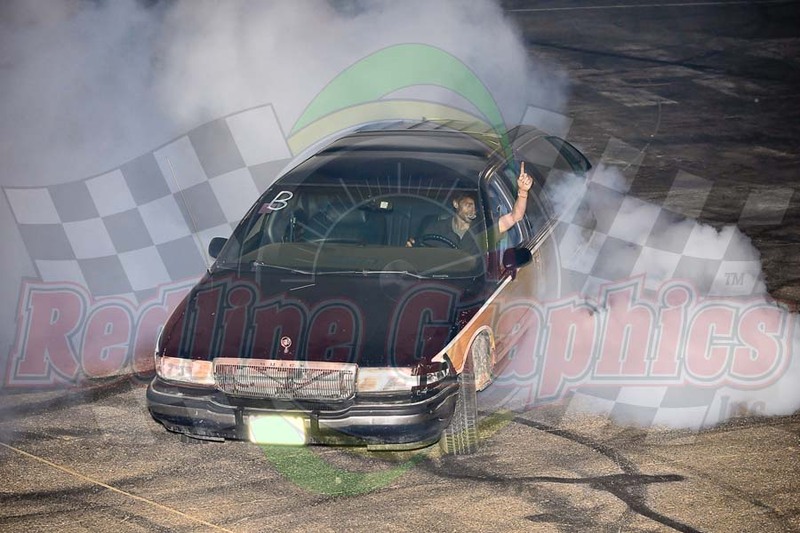 The last competitor in the field turned out to be the best as Lakeville’s Joey Miller and his ’92 Buick Roadmaster Wagon again filled the air with smoke and earned the loudest and most appreciative applause to earn the win, ending a night of motorized mayhem. 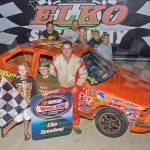 Elko Speedway will return to action on Saturday August 11, 2012 with the 19th Annual Dwain Behrens Memorial, honoring the late Elko Speedway Champion and Hall of Fame Member. 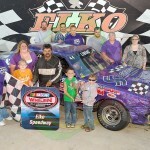 In addition to the NASCAR Super Late Models, the Big 8’s, Thunder Cars, Power Stocks and Legends will also be in action. Along with the NASCAR Whelen All American Series action, fans will also be treated to the FIRST EVER MINI VAN FLIP!!! For questions, directions or ticket information, contact the Racing Office at (952) 461-7223.